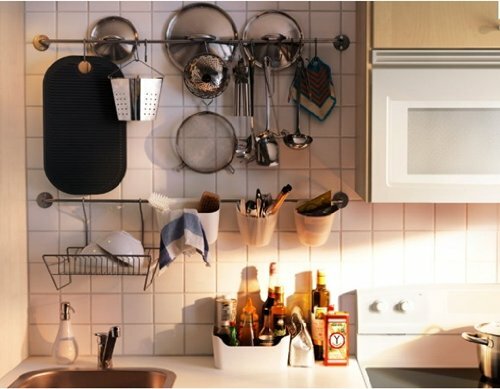 Wall-mounted dish racks are common in Europe and in Great Britain particularly. 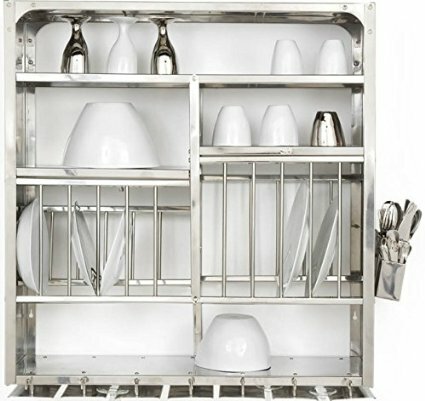 They function as storage, especially since many homes have dishwashers. 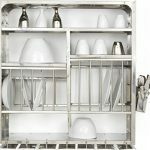 However, they are usually used to drain the dishes after the dishes have been hand washed. 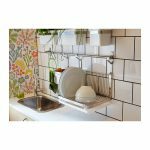 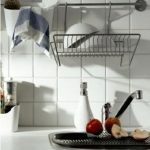 That is why the wall-mounted dish racks are located above a sink. 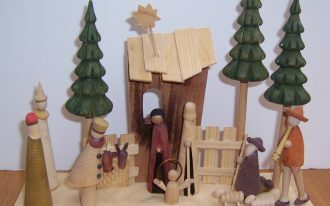 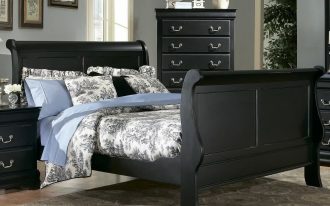 Various sizes and shapes are available, though some of them are hard to find at store and should be bought via online. 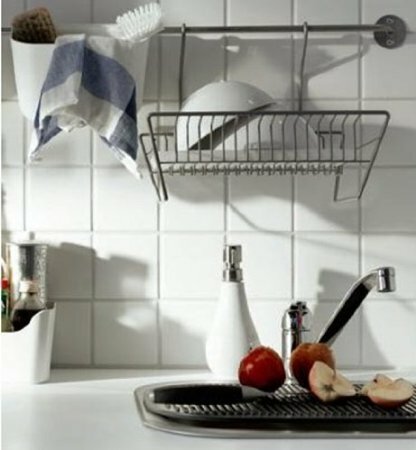 Some of wall-mounted dish drying racks are the Wall Mounted Grundtal Dish Drainer, the IKEA Steel Dish Drainer and the Dish Dryer Display Rack Stainless Still. 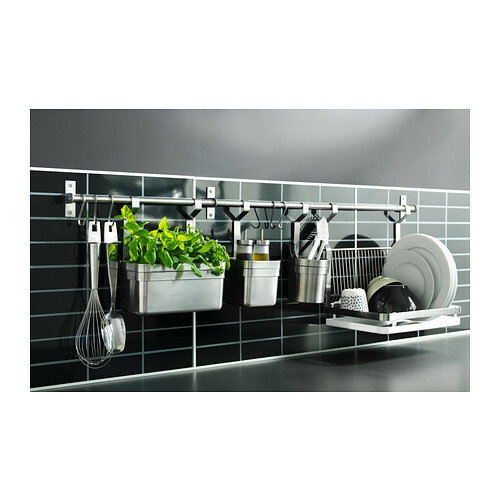 The Wall Mounted Grundtal Dish Drainer is made of stainless steel with polypropylene for the tray. The tray underneath is removable to collect water from the drainer. 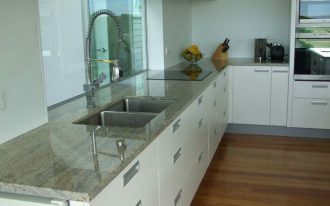 The measurement is 35 cm of the length, 26 cm of the width, and 37 cm of the height. 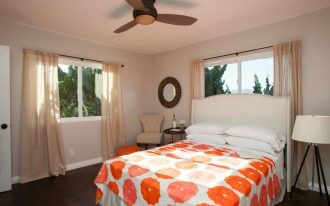 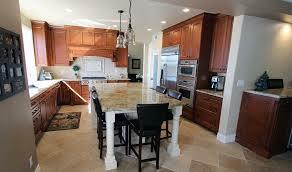 You can clean it with a soft cloth dampened with water and soap or wipe dry with a clean cloth. 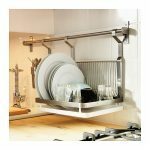 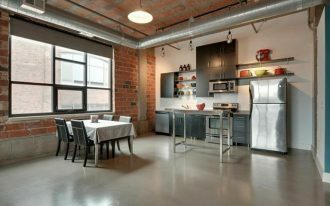 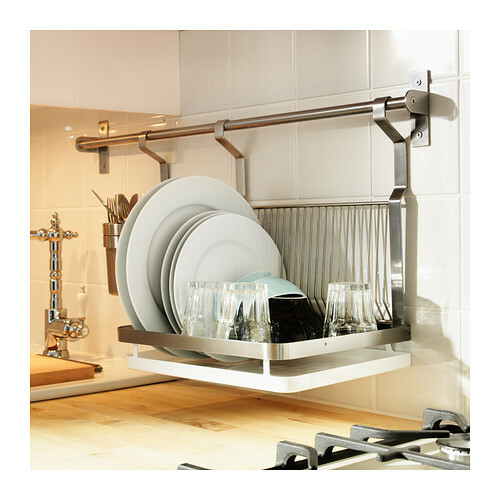 It can be hung on Grundtal rail to give a space on the countertop. 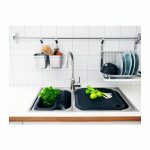 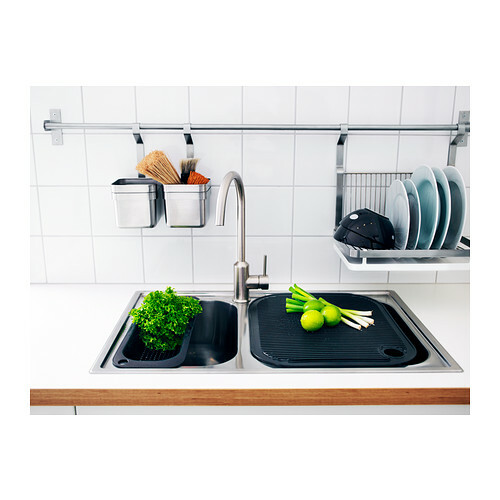 Similar with the Grundtal, the IKEA steel Dish Drainer is also made of steel with polypropylene. 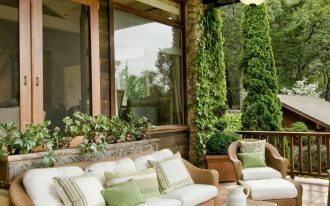 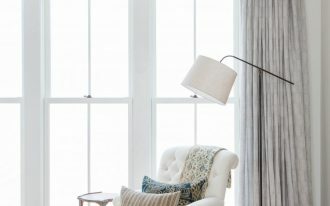 The differences are the product dimensions and the design. While the first one is included in the Grundtal series, this one is included in the Bygel series. 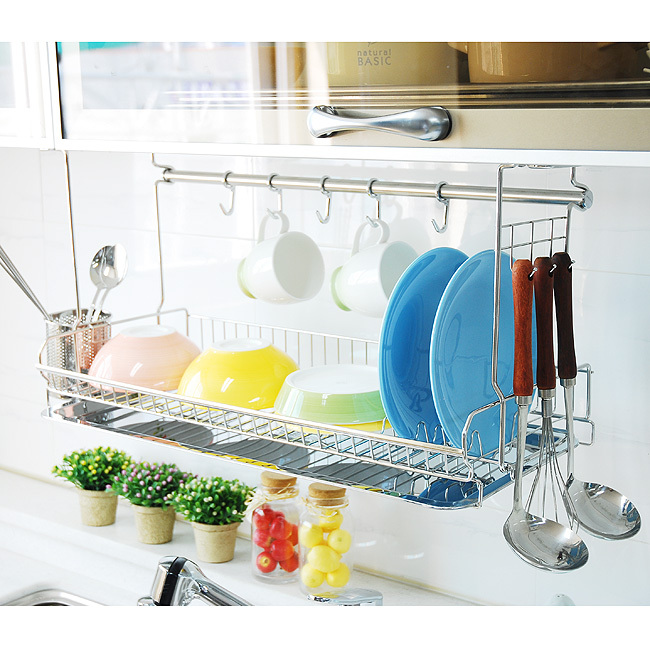 For the Dish Dryer Display Rack Stainless Still by RBJ, it is made of stainless steel with long durability. 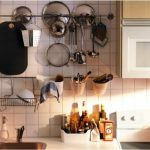 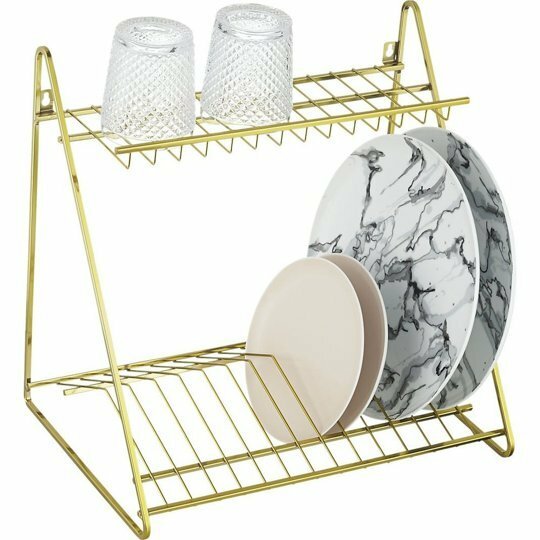 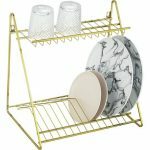 This wall-mounted dish drying rack is full of spaces with five slots for the main plates. 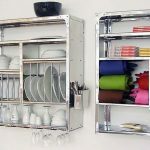 Besides, it will save more space because you can hang it on the wall. 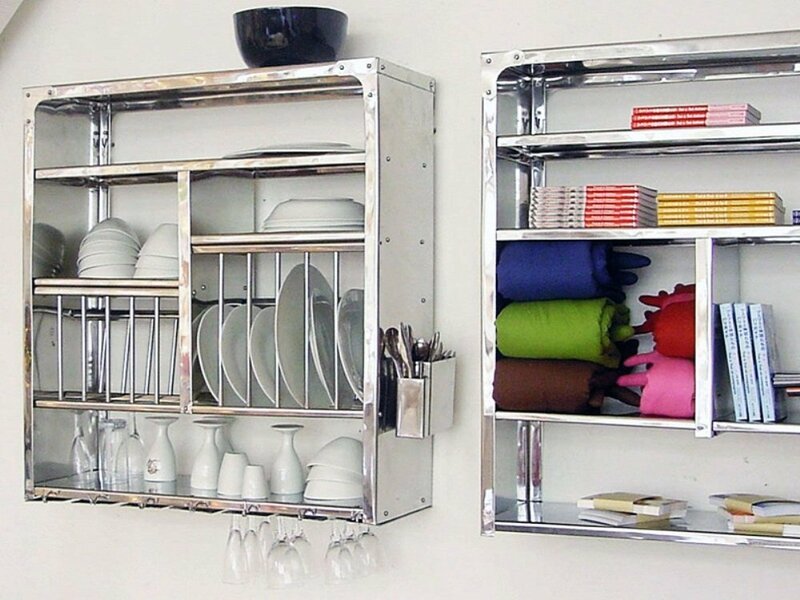 In addition, the smooth surface makes the rack look good and free of rust.